It all started with my neighbor Vickie. She texted me Monday afternoon, as a summer thunderstorm rumbled through Summerville bringing us lots and lots of rain. Since we are both gardeners rain makes us very happy. 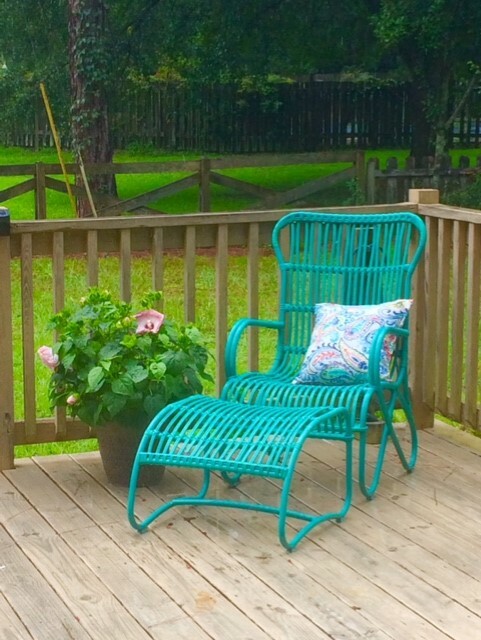 I immediately jumped up and ran to the deck where my new pink “Honeymoon” hisbicsus sat drinking up the water while it and the lounge chair both dripped large droplets of rain off them. I took a deep breath and breathed in the scent of fresh rain. 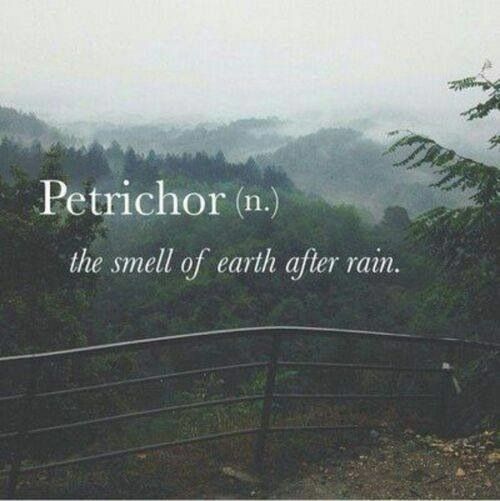 I had forgotten (until Vickie mentioned it) just how wonderful an aroma it is! Even with my smell and taste senses slightly challenged by long periods of past chemo infusions and now oral daily chemo pills …I could still detect that alluringly refreshing scent. I would love to think that God smelled like a recent rain shower…so fresh, clean, and inviting. It got me thinking of other scents I could easily associate with our Creator…scents that I love. I imagine that God will be exactly what we think and imagine…smelling and looking like our favorite things in life. *If you have a minute…let me know what one of your favorite scents in life is. *And speaking of the smell of freshly cut grass Tim, my wonderful grass cutter (and fireman) cut my grass for me yesterday afternoon and when he finished he said he had some news he needed to tell me. His wife, Stephanie needs surgery…a hysterectomy…and after much prayer he has decided to stop cutting lawns on the side until she has completely recovered…their third child, a little boy, is still just a baby and Stephanie won’t be able to lift him for the first few weeks. Tim has someone else set up to help me keep my grass cut until he can return. I assured him…that this was no problem and then asked him if it was okay to ask all of you (blog readers) to say a prayer for his family as they face this challenge in their daily lives. He was so grateful for the gesture. Tim is such a hard-working young man and as I have discovered, like all firemen, he must find other ways to supplement his income. All prayers for a successful surgery and complete recovery for Stephanie will be greatly appreciated. Thank you! *Later yesterday afternoon I walked around the yard where Tim had just cut…and that wonderful aroma of freshly cut grass enveloped me. Thanks God. 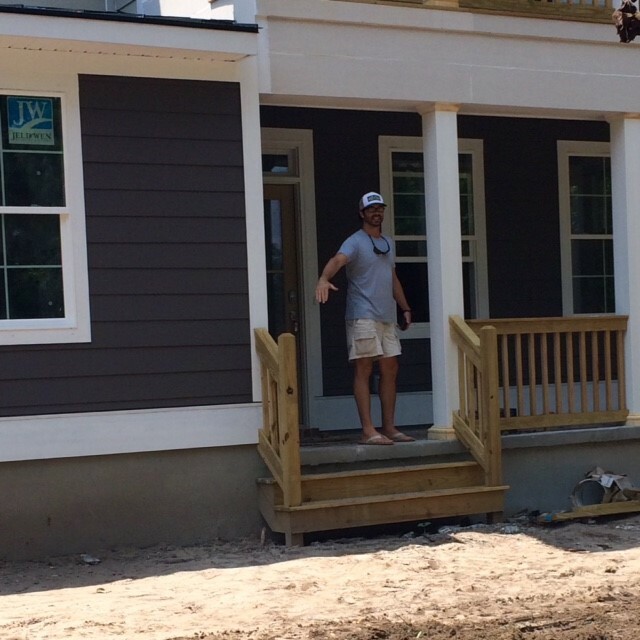 Yesterday I also had a chance to meet Walsh, my oldest son for lunch on Daniel Island and we got to ride out to see how his and Mollie’s house is coming along…it is coming along very well it appears. 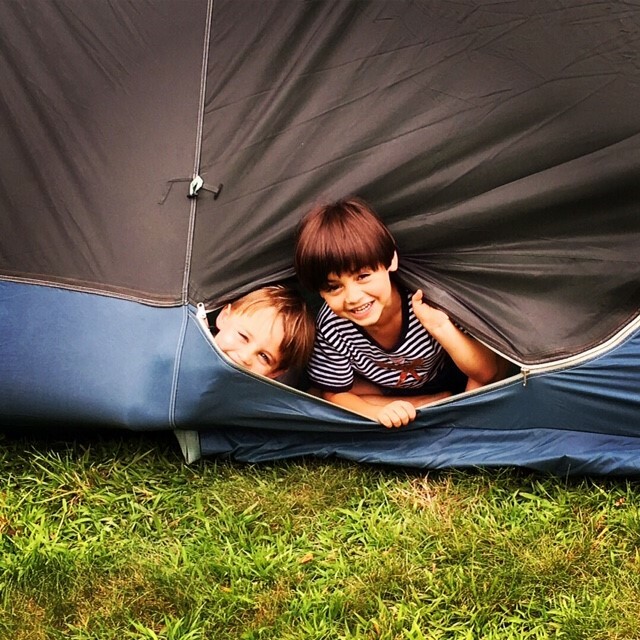 Meanwhile Mollie and the boys are having fun in New Hampshire…peeking out of tents! Tell Nana and Papa hello! So until tomorrow: Here is a new word for a great meaning. Love this story. Walsh and Mollie’s new home is beautiful. My favorite smell is a baby puppy! I should have guessed…Sis Kinney agrees with you too! Babies and puppies! Just got the eclipse magnet from Toni….love her works and her story and most of all I love you. Beautiful story; I do remember your telling it earlier, and it is still a wonderful story! Just beautiful! My favorite scents seem to coincide with yours. LOVE the smell after a wonderful rain shower – but newborn baby (and puppy!) smells are also wonderful! And, bacon!! Isn’t it grand how our sense of smell can just conjure up such wonderful thoughts and memories? Walsh’s and Mollie’s new house looks very nice! I know they’ll be happy to get settled in before Baby Girl Dingle arrives! 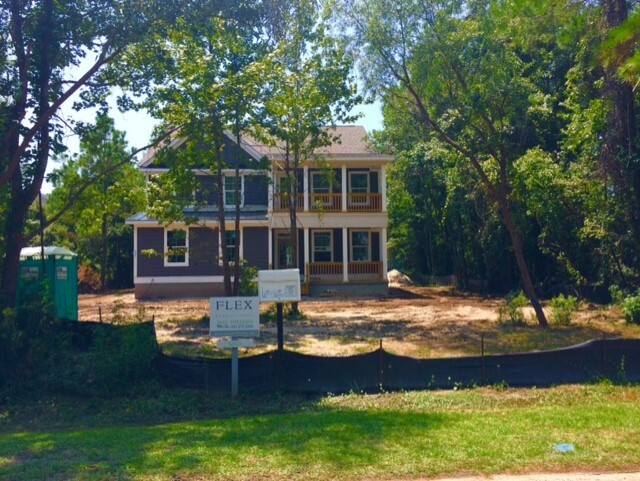 We, too, are looking forward to a new house; we decided it was a BIG mistake to buy the house in Fuquay-Varina, so we’re selling it and will tear this small cottage down and build something a tad bigger and more fit for year-round habitation, once the other house sells. We’ll truly become “mountain folk.” We’re looking forward to it, so I know the anticipation Walsh and Mollie have about their home! 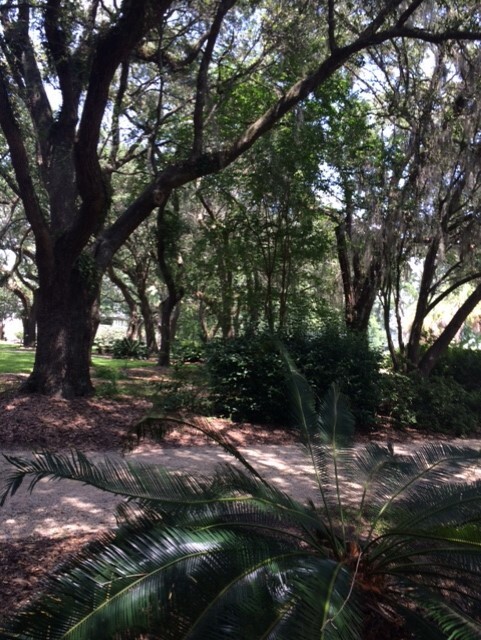 And, as much as we love the mountains, we both do miss the Low Country every now and again! How exciting! A new home! We learn from our mistakes don’t we and this helps us narrow down what we don’t want and know then what we do. Lessons on life! In the meantime keep smelling that wonderful fresh mountain air…I should know we would share the same scents…great minds think alike! Love the story! Makes ones breath stop to think about this child knowing something we have yet to experience. My love smell is new turned dirt, as in farmers getting ready for a new crop and my lemon tree when it is in bloom. The new house looks to have a great location. Lots of trees. 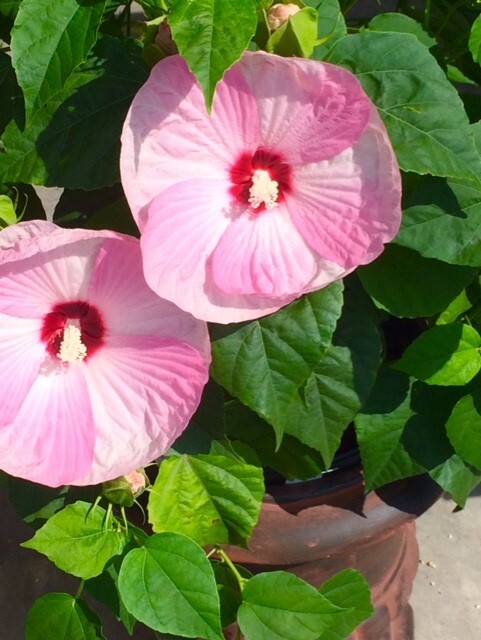 Walsh and Mollie are so excited and it will always be special for having this upcoming blessing of joy be born there…new turned dirt…great choice…and always anything with a lemon scent …so refreshing. John and Mandy have a lemon tree and every time it looks like they are getting a lemon…an animal beats them to it. Oh..I just had to re-post this …some more people need to read the story…hope you don’t mind. Of course not…pass it forward! Love both of those choices Gin-g…cookies baking in the oven is over the top fabulous…and smells of people are so precious. When Doodle, Carrie, and I stopped by Lassie’s Saturday night…I stopped in the house and said…It stills smells like Poppy and Dee-Dee!